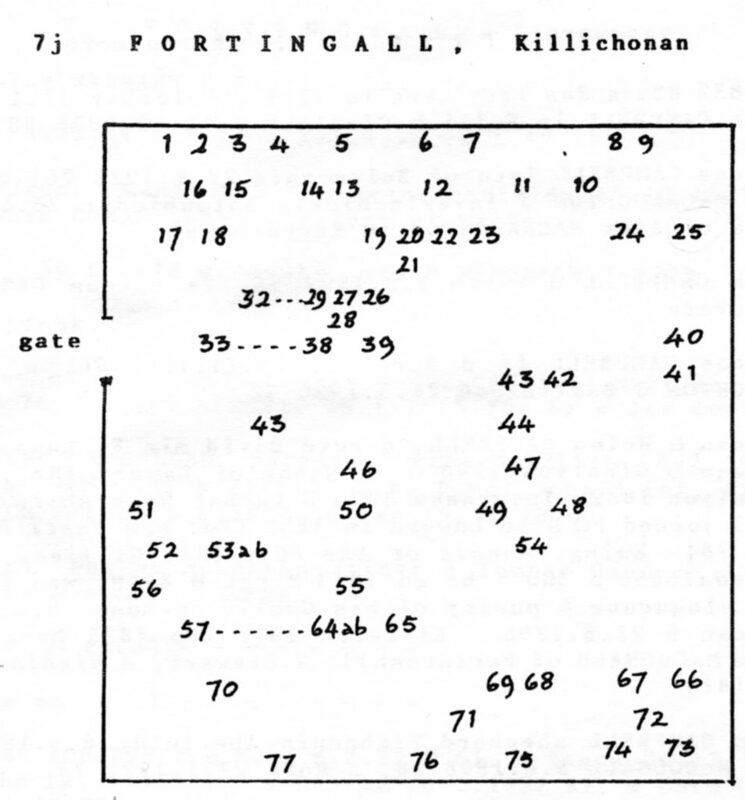 Killichonan (pronounced Kill-ee-hoe-nan) was a community on the North side of Loch Rannoch near the West end of the loch (lake). 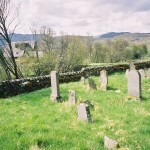 Today there is a walled graveyard, a few farms, and a power station. 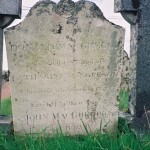 Many MacGregors used to live there and many are buried there. 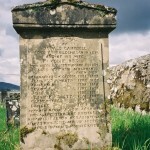 The diary of Niel MacGregor’s cousin Patrick tells me the I have some ancestors buried there. 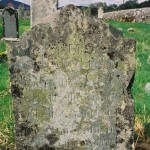 Here are SOME of the graves at Killichonan Cemetery. 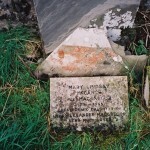 I did not have time to write any inscriptions down, and only photographed those stones with ” MacGregor” or believed to be MacGregor (e.g. 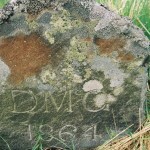 “McG”.. 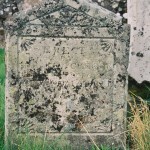 The transcriptions are done from my photos. 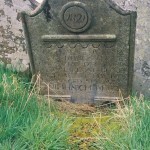 Any corrections and/or additions would be welcomed. 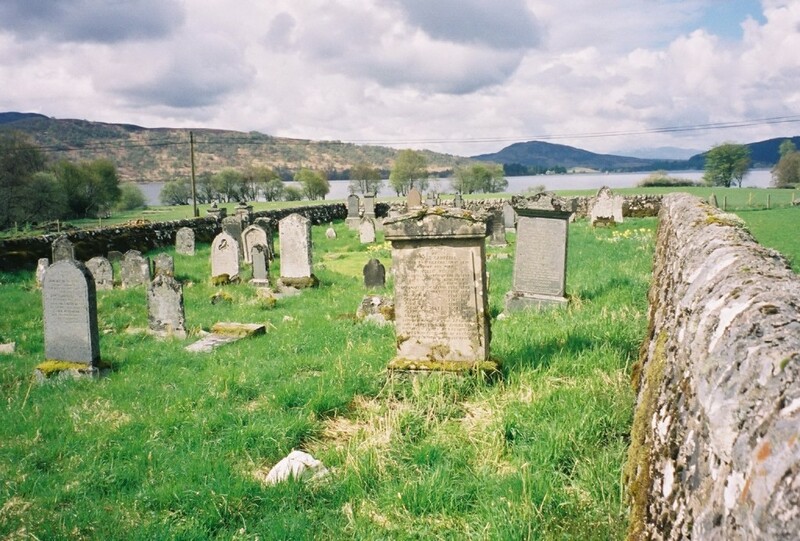 I have not been able to link any of the graves to my ancestors, however the diary of Patrick MacGregor indicates that some of our relatives are buried there. 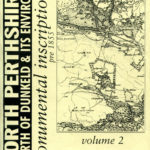 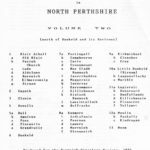 The excellent book “NORTH PERTHSHIRE – NORTH OF DUNKELD & ITS ENVIRONS monumental inscriptions pre-1855 Volume 2 edited by Alison Mitchell (1977 revised edition) ” is published by The Scottish Genealogical Society 1997 ISBN 0 901061 76 X and is highly recommended. 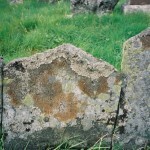 Modern post-1855 stones were not recorded as there are paper records for those people. 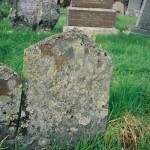 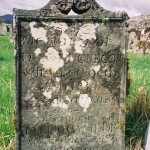 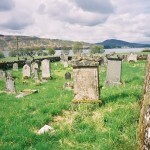 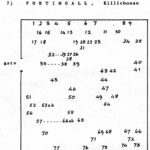 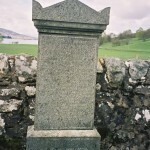 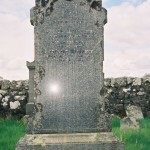 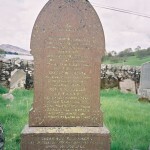 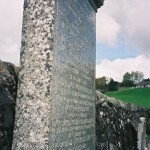 Killichonan Cemetery Loch Rannoch – Map showing monuments from 1855 or earlier and that are recorded in the above book. 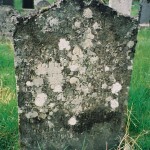 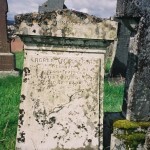 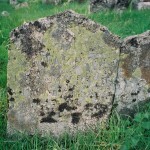 Back of a leaning tombstone. 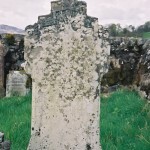 The back has the raised relief of the MacGregor lion head.